Do you remember the first time you walked into an amusement park and you heard blood-curdling screams above your head? You looked up, and there it was: what appeared to be a mass of twisted railroad tracks with a coaster attached, hurtling passengers at death-defying speeds. You ether turned away or ran toward it. This would be the deciding factor on wether you would become a roller coaster fanatic, addicted to adrenaline or someone contented with the carousel. If you became the fanatic, this is a list for you. 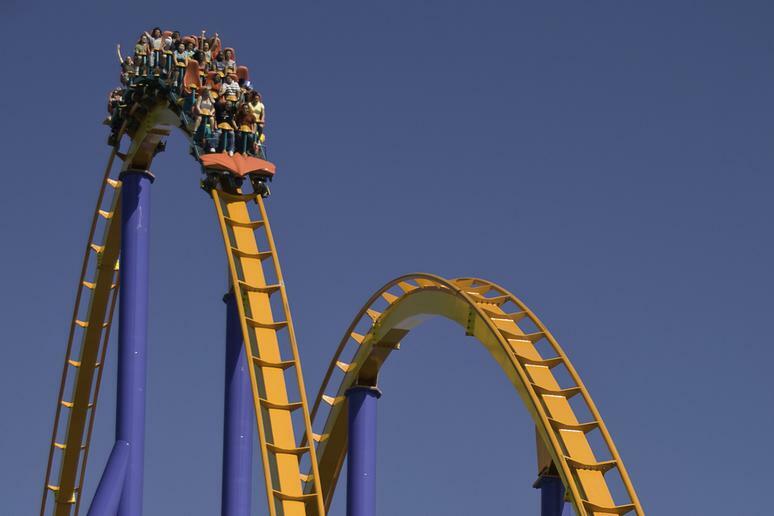 Roller coasters have been the focal point of amusement parks for decades, often being the top moneymakers and top attractions. Here is a list of some of the world’s most popular, thrilling, fastest, tallest and scariest coasters. After a short ride in the dark, you are launched up a 125-foot hill. Then seconds later you will be hurtled through a 105-foot loop. The 3,465 feet of track pack plenty of thrills. Themeparkinsider.com says this coaster also does a good job with interesting visuals and landscaping along the route. You will be clinging to your seat white-knuckled as you drop 230 feet at a 75 degree angle and hit speeds of up to 77 mph. This coaster spans 5,318 feet of track taking you over four massive hills, a 180-degree hairpin turn, and 2 cork-screws. According to lunaparknyc.com, this ride is listed as one of the top things to see in the New York City area, and it’s the only place where you can scream your head off and fit right in. 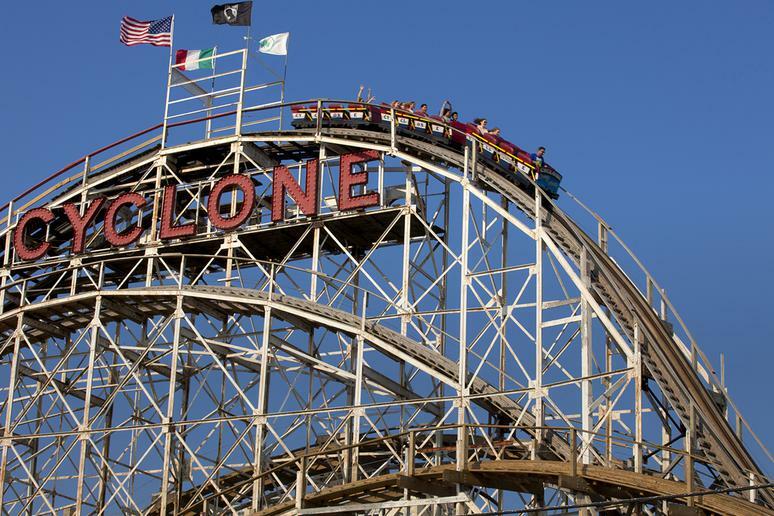 It is considered the “Mother of American wooden coasters” or the “Big Momma” of Coney Island. It rumbles and rolls over 2,640 feet of track with 12 drops and 27 elevation changes. Colossos, which was built in 2001, was the first “Plug’n’Play” or prefabricated coaster built offsite. According to coasterforce.com, the coaster, essentially arrived on a flatbed, with a set of instructions. 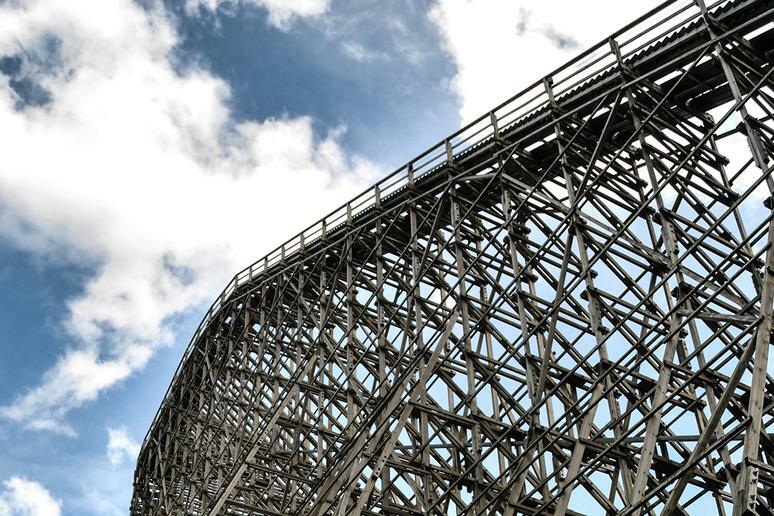 This is one of Europe’s tallest and fastest wooden coasters, at 164-feet tall and reaching speed of more than 68 mph. The coaster is closed for refurbishing but will be open for the next season. The Diamondback has open-air, stadium-style seating that allows riders in every seat to have unobstructed views. 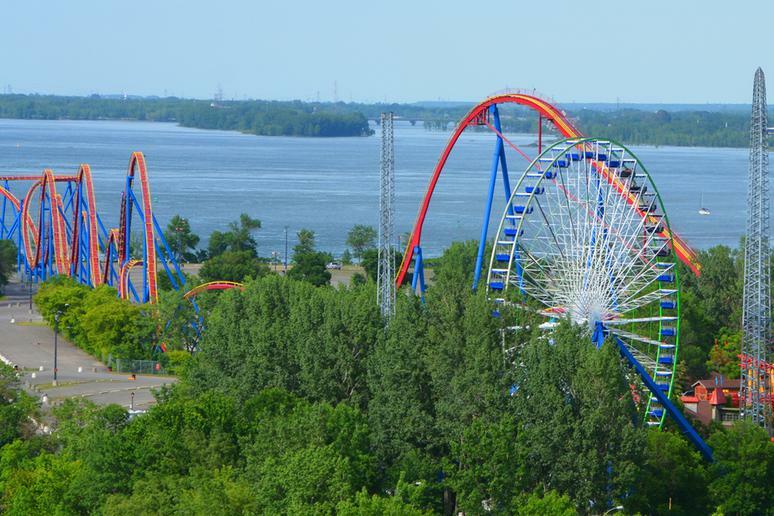 It stands at 230 feet with a first drop of 215 feet at a 74-degree angle going as fast as 80 mph. It is the tallest and fastest coaster in the popular park. PortAventura Resort bills this coaster as its most iconic attraction. This theme ride tells the story of a prince turned into a dragon by gods and condemned to roam without direction for all time. That punishment will take you along eight terrifying loops and reach speeds of nearly 70 mph. The ride spans 4,165 feet and has zero-gravity turns and cobra rolls. Don’t get this confused with the The Matterhorn Bobsleds at Disney. This one is much bigger and badder. 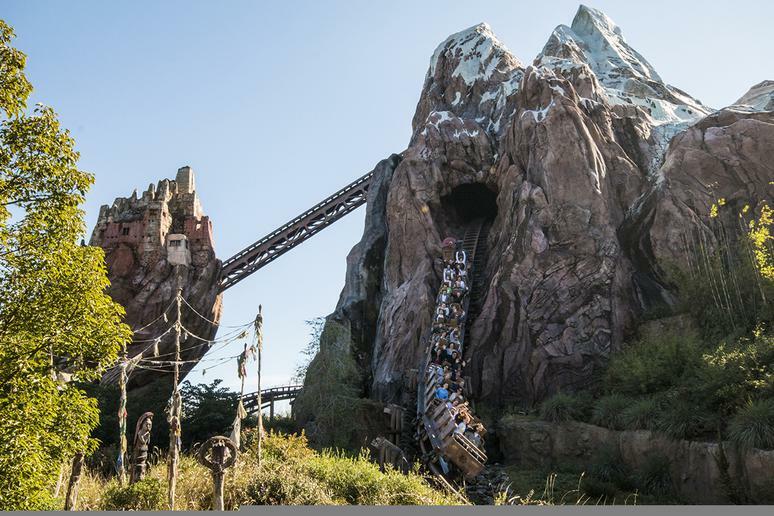 The coaster has the Disney-fied look of a weather-beaten train and rolling hills overlooking a forest, but don’t be fooled. The train stops suddenly at a broken segment of track and sends you speeding backward at speeds up to 50 mph. 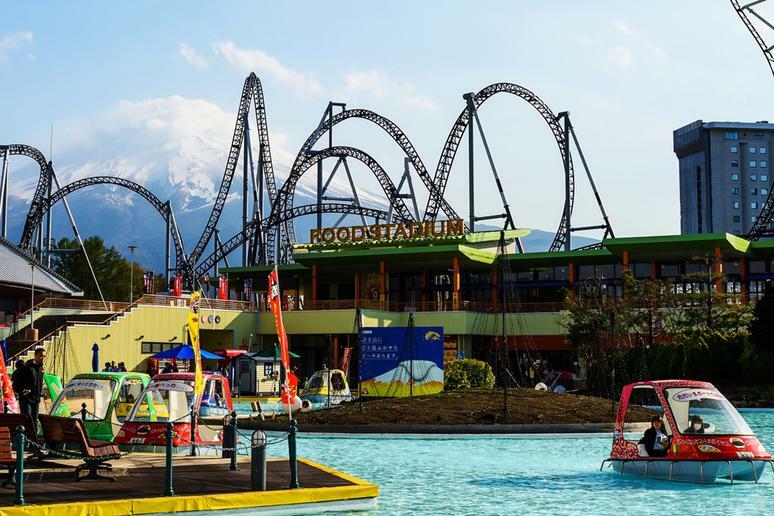 Fuji-Q Highland considers Fujiyama the “King of Coasters.” No matter how many times you're on it, the park guarantees you'll feel like it’s your first time. 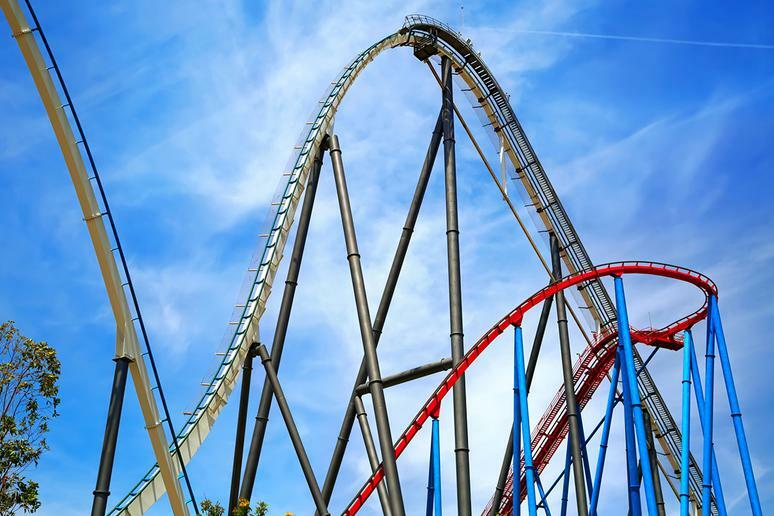 The impressive stats including a maximum speed of 81 mph, a maximum drop of 230 feet and a maximum height of 259 feet. Find out why bigger is better on this giant roller coaster. The park boasts that this is a “hypercoaster” or “mega-monster.” It reaches a maximum height of 174.8 feet and goes over 68 mph. According to Six Flags: “As far as roller coasters go, there are beasts, there are giants, and then there is Goliath.” Rightly so. This thriller send you 200 feet up, then drops like rock for 170 feet. This one’s not for the faint-hearted. At an angle of 120 degrees, Movieworld.com brags that this is steepest inverted drop in the Southern Hemisphere and second steepest in the world. 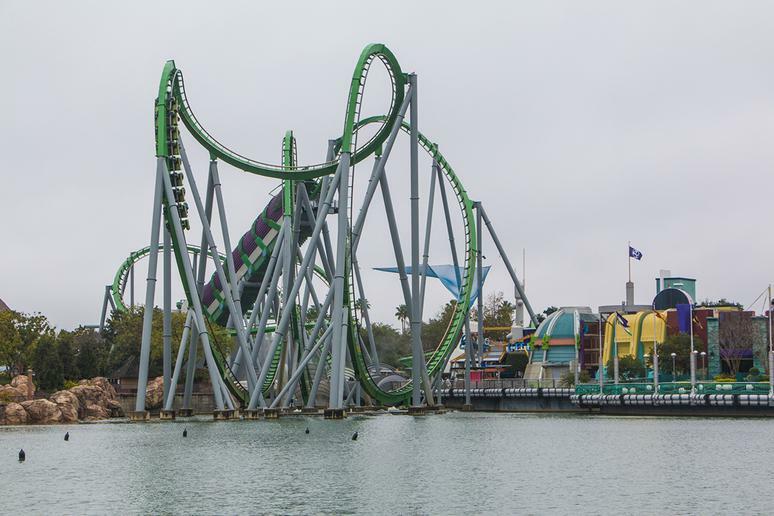 Another green monster is The Incredible Hulk at Universal Orlando in Florida. Universalorlando.com suggests you hang on with superhuman strength as you are launched upward of 150 feet and reach a top speed of 67 mph. 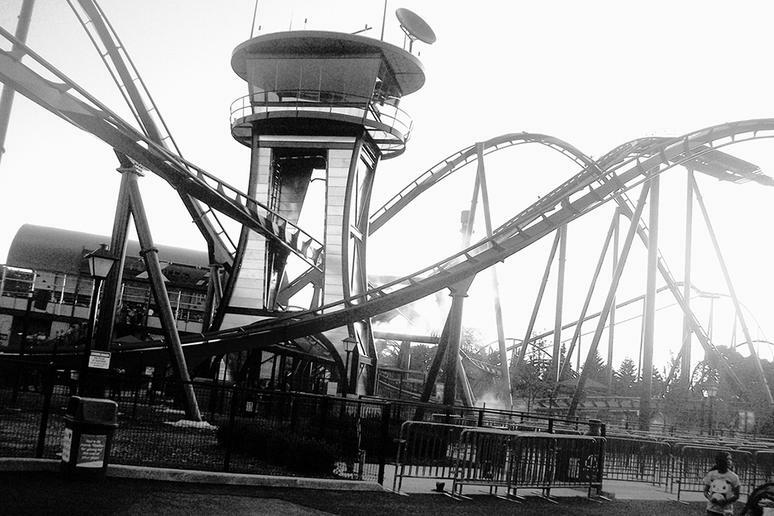 The track will take you through corkscrews, two vertical loops and a zero-G roll. This is the tallest, fastest and longest of its kind in the Southeast, according to carowinds.com. This all steel coaster was inspired by NASCAR legend Dale Earnhardt. A wall of fame dedicated to Earnhardt is at the entrance of the ride, with a replica of his No. 3 Monte Carlo. 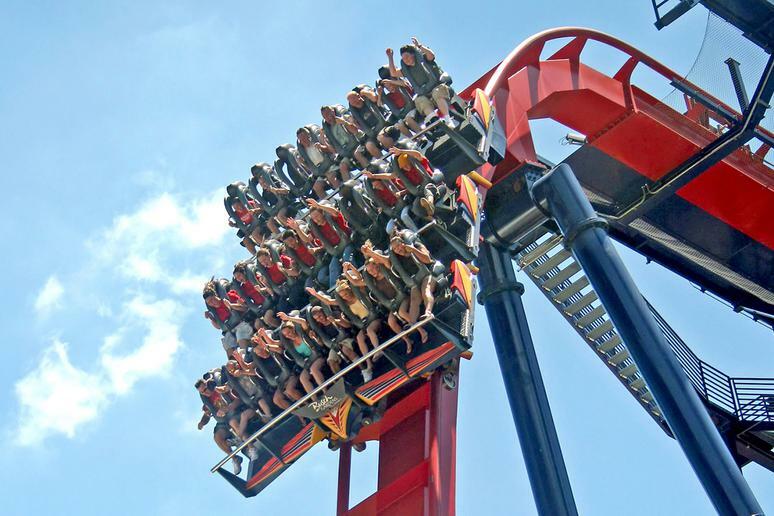 This South Carolina coaster has a maximum height of 232 feet and reaches speeds of up to 80 mph. 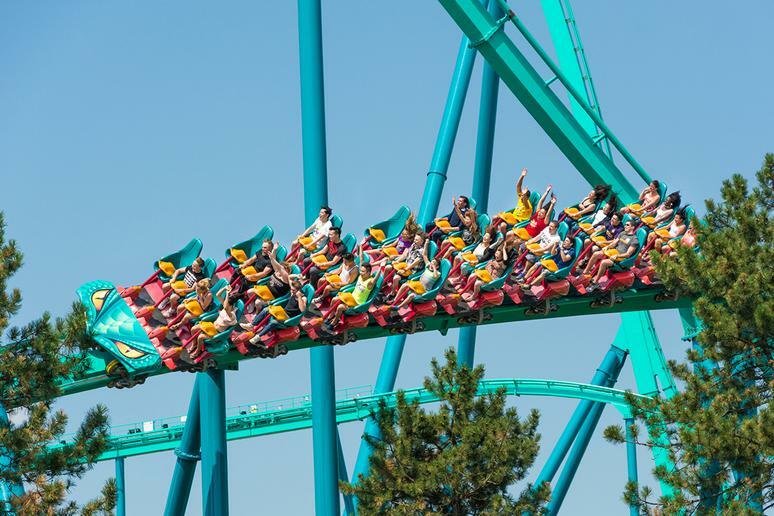 This is Canada’s Wonderland’s 16th roller coaster, and one of their finest. 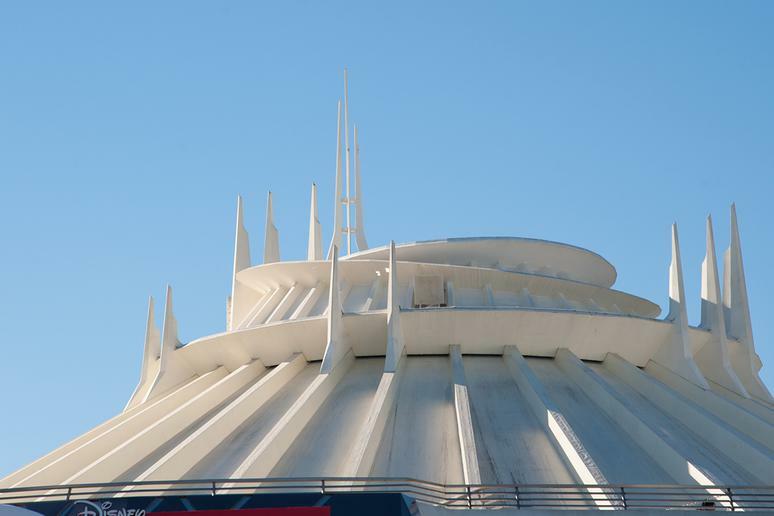 It is the tallest ride in the park. It features 5,486 feet of track and reaches speeds of more than 90 mph. 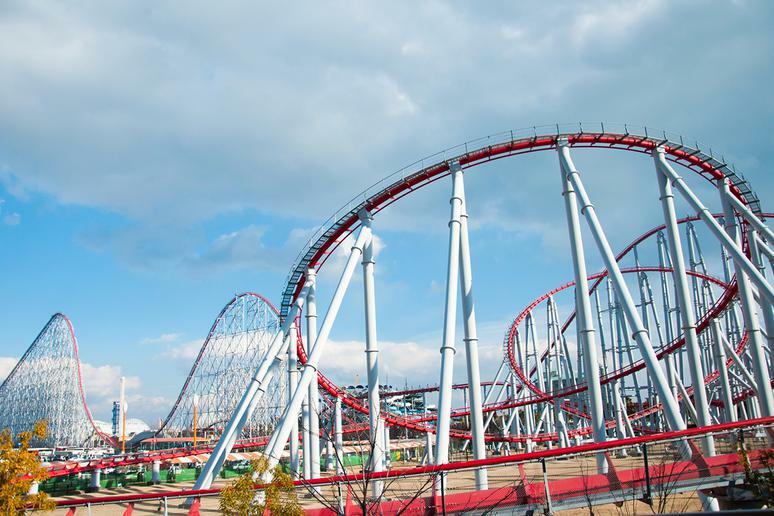 The highlight of this heart-stopping coaster is the drop from 306 feet at an 80 degree angle. 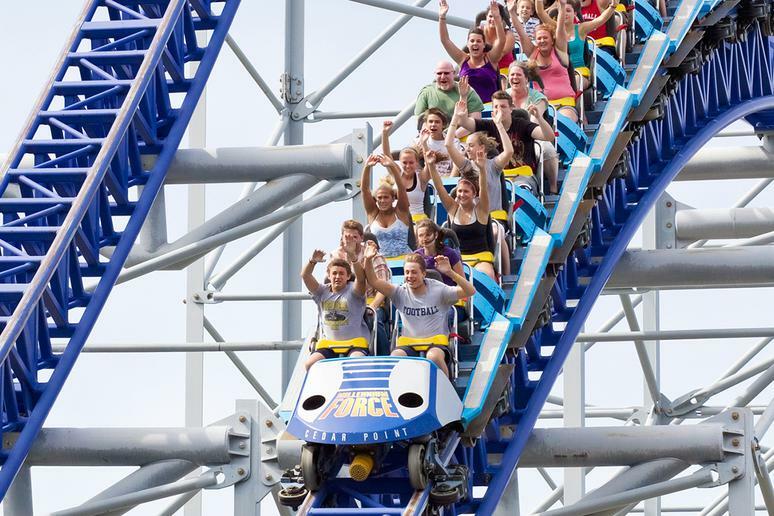 Cedar Point says it had to create an all-new category to classify this coaster – thus was born the gigacoaster. They say this is ranked as one of the world’s best all-steel coasters. It reaches mindblowing speeds of 93 mph and drops of 300 feet. 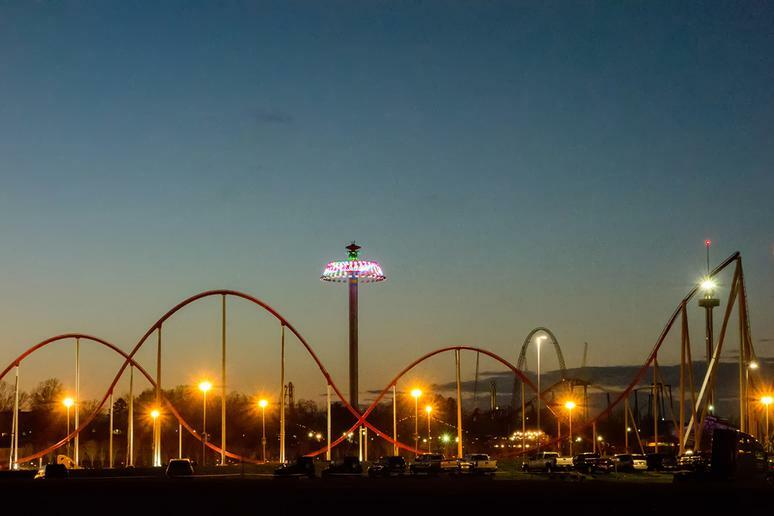 This is one of Europe's iconic inverted roller coasters. 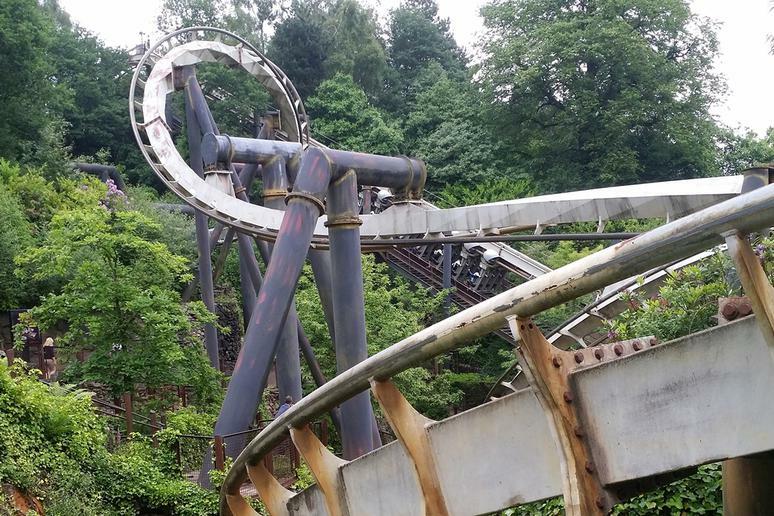 It was built in 1994, but Alton Towers proudly says it can compete with any thrill ride built more recently. The coaster boasts a drop of 104 feet with speeds of 50 mph. The Nitro will freak you out. There are no shoulder restraints and no sides on the cars -- just a restraint bar on your thighs. After your initial 215 foot drop, you will travel 80 mph through two hoops, a 540-degree spiral and then a series of hills to finish you off. This indoor coaster has a height of 44 feet and a speed of 40 mph. 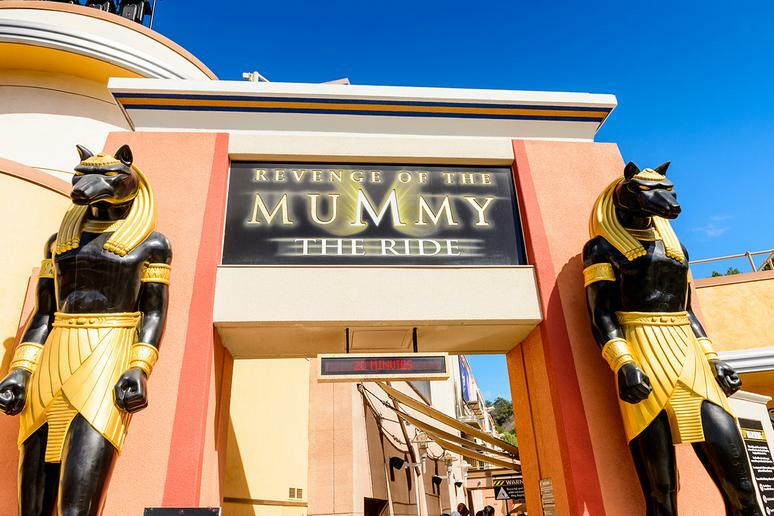 This ride has a lot of “Mummy”-related eye candy. If you are able to check out the Egyptian hieroglyphics on the walls, they spell out real warnings. Disney sells this ride as a race through the darkened freeways of Los Angeles in a super-stretch limo to the tunes of Aerosmith. 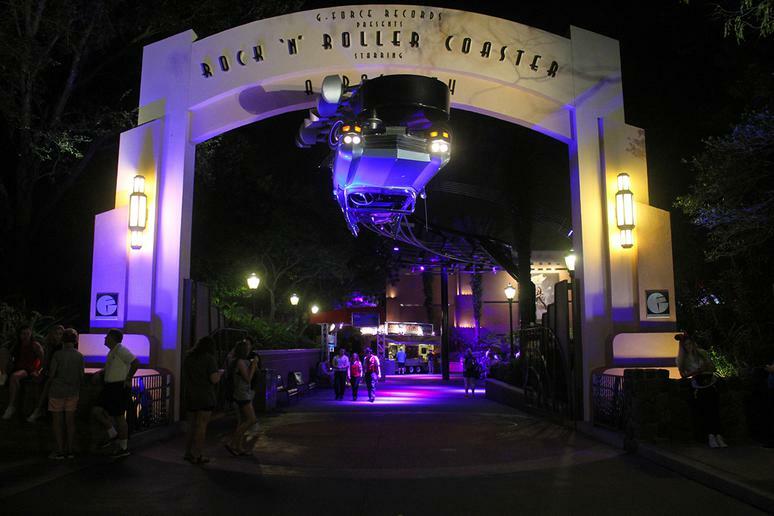 The ride takes you over three inversions, two rollover loops and one corkscrew as you pass Hollywood landmarks. 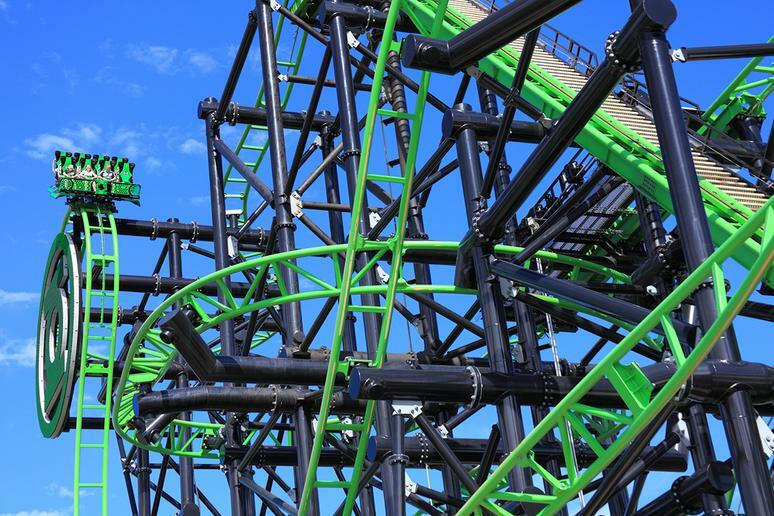 This is a 200-foot-tall floor-less dive coaster. Buschgardens.com describes this as a plunge from the sky from 200 feet up, 90 degrees straight down. The dive down reaches speeds of 70 mph. It ends with an underground tunnel and a splash that drenches riders waiting in line. You’re probably thinking: This ride has been around forever, how could it make the list? Maybe nostalgia? Or maybe it was the first one that got you hooked on coasters? Either way, it still packs a punch. Although it opened in 1977, it’s had many upgrades. It has a height of 76 feet and a top speed of 35 mph. 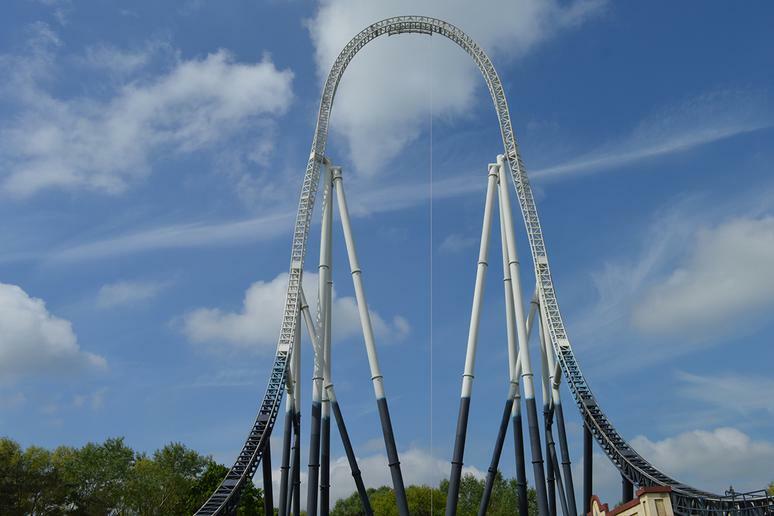 Thorpepark.com says this is one of Europe’s fastest roller coasters. It goes from 0-80 mph in less than 2. 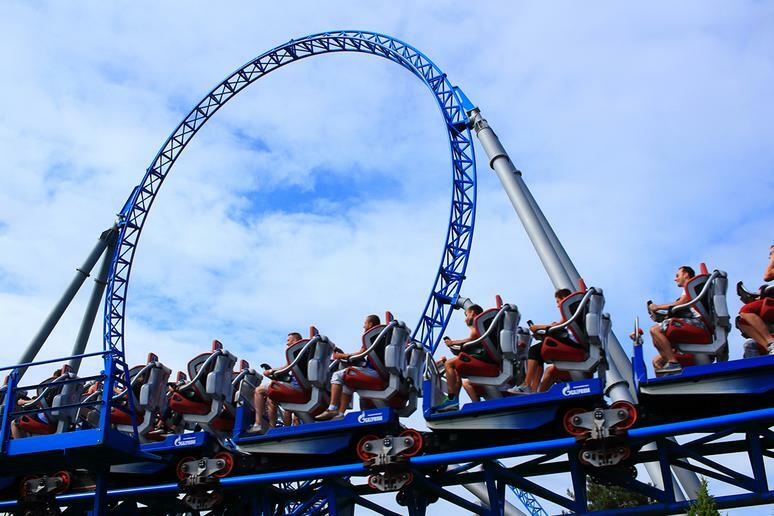 This UK coaster has a track length of 1,312 feet and a top speed of 81 mph. 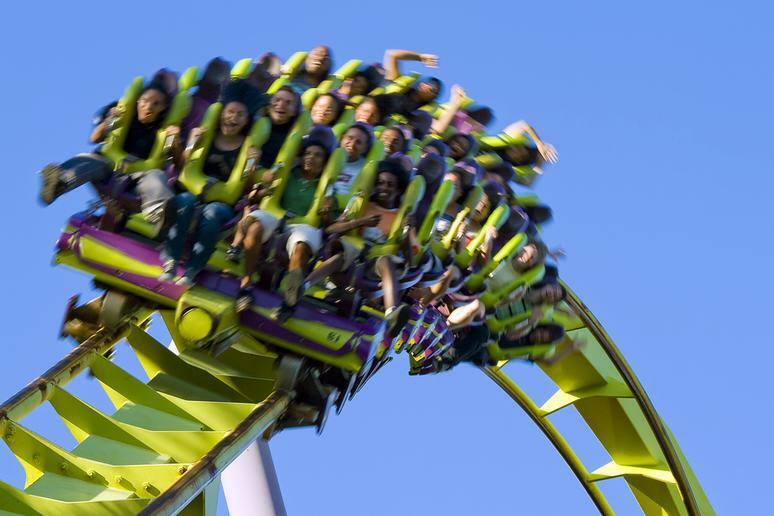 If you are an adrenaline-seeker, look no further, reports voyapon.com. 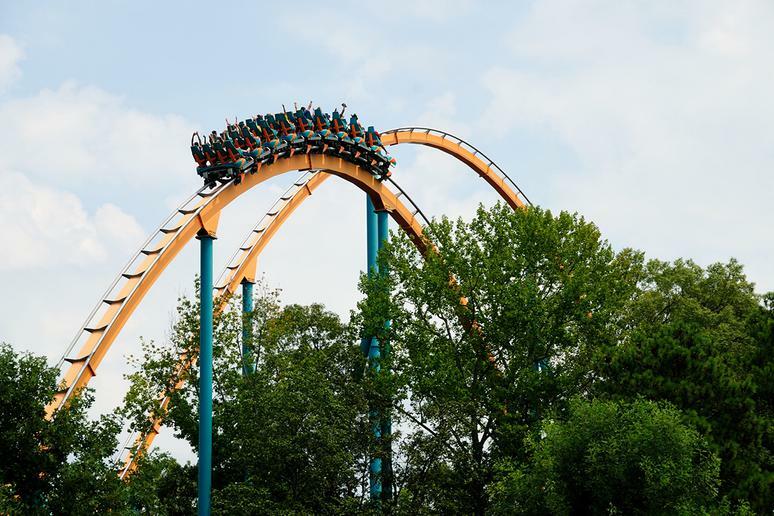 The Dragon is a steel coaster with a towering height of 318 feet. The highest drop is mind blowing 307 feet., the sixth longest roller coaster drop in the world. It tops out at 95mph. This is the steepest ride in the world with a top speed of 65 mph at a 77 degree angle, according to Everland. People seem to agree with Everland’s boasts. Out of 1,478 reviews on TripAdvisor, 1,324 are very good to excellent. 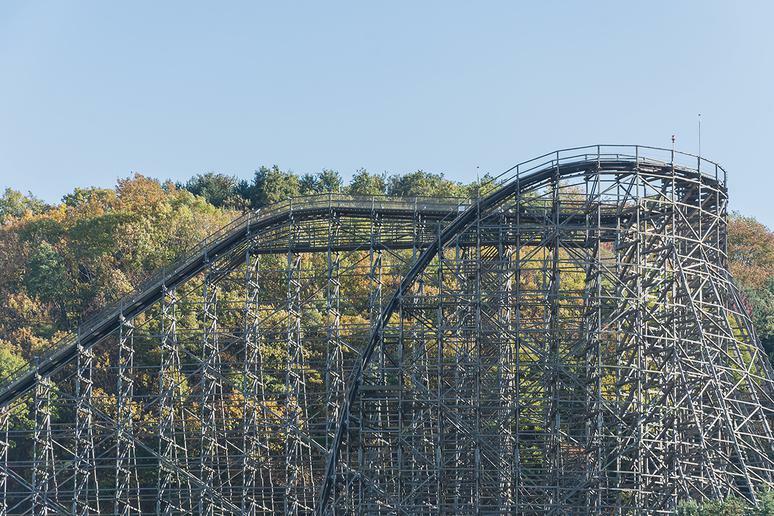 This is America’s first wing coaster. Riders sit on either side of the coaster track. There is no track above or below you. 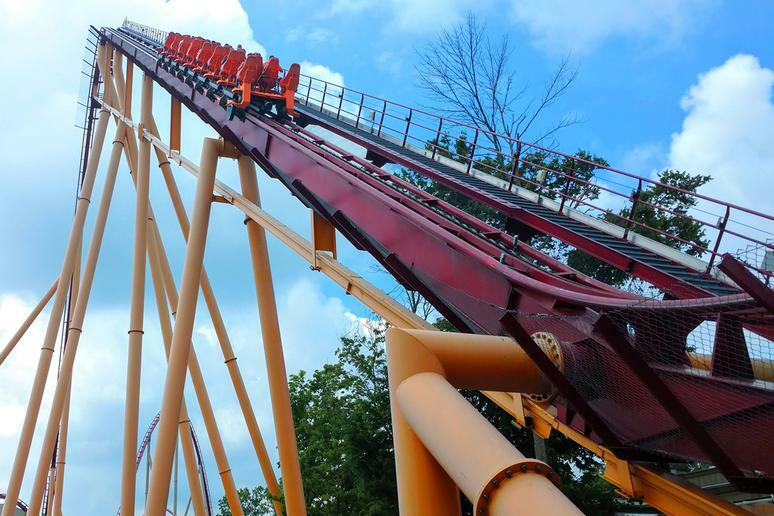 X Flight launches you up a 120-foot hill then plunges at 55 mph while rotating 180 degrees.